We, Sarah and Bill, are the founders of yourbetterkitchen.com. We are passionate about food, but we leave most of the cooking to Sarah because she’s a much better cook. Although Bill does the dishes…most of the time. We love spending time with our son, and we love trying new things together; especially food and kitchen gadgets. We created this site as a resource for people who want or even need to get more out of their kitchen. In our opinion, the kitchen is the most important part of the home. It’s the place where we cook, eat, teach, learn, try new things, and have fun. Often we gather in the kitchen, share stories, and pass down recipes. Life is busy, and unfortunately for a lot of people the kitchen is merely a utility; just a place to prepare meals. We will try new things, and share our experiences with you. 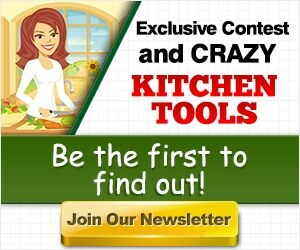 It is the mission of this site to help inspire people to make their time spent in the kitchen more enjoyable. We believe that making changes like organizing your kitchen, trying new foods or even new kitchen gadgets can go a long way to accomplish just that. Because there is so much value that comes from the insight and experiences of others, we will accept articles, and other forms of media from contributors to this site. For reviews that you find on this site, we gather as much information about the products as possible. Some of the reviews are of products the we own/owned or have hands-on experience with. For other reviews, where we do not have hands on experience, we perform hours of research to learn all that we can with the product or product type. Either way, we will share with you our opinion, what we really think about the product(s).